Unfairly conjuring up images of Miss Havisham-style interiors, using lace in the home can get a bit of a bad reputation. But, if it's reworked in an untraditional way, the results can be fabulous. Just ask Pearl Lowe who, since the death of Britpop, has apparently built herself an entire career based around her dyed lace curtains. Don't let that put you off either - there's lots of other designers and shops playing around with lace at the moment, and at prices attainable for even us lot without rock star husbands. 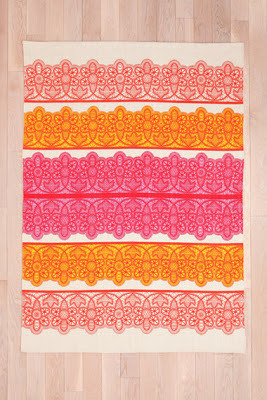 Like this cotton lace stripe rug from Urban Outfitters which takes some of the pretty patterns of lace and applies them in eye-popping oranges and pinks. It's £65 and there's also a blue-coloured version available. An article about lace and I've not yet had the chance to shove in a Black Lace joke? Oh, wait, thanks to this black lace cushion from Rockett St George, I Agadoo. 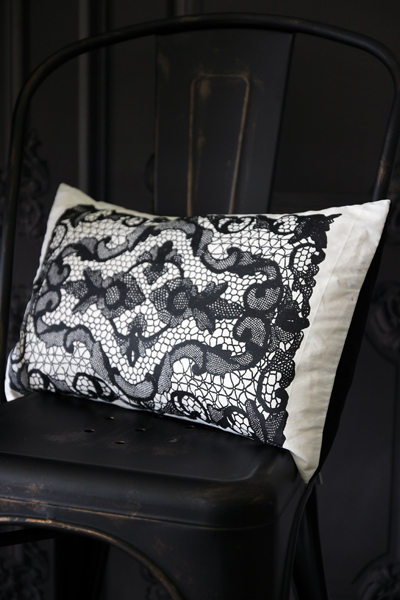 This design is a lot classier than the band, with a gorgeously dramatically lace motif hand screen-printed onto the cushion cover. Available for £45, it's an essential for any gothic boudoir. 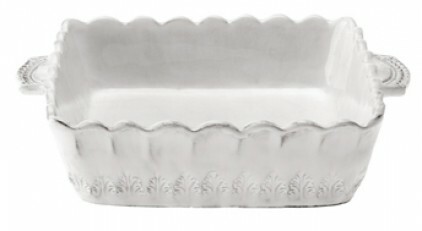 My next find shows how the use of lace in your home doesn't need to be limited to textiles either: I love how the patterns have been evoked in this lace baking dish by VBC Casa on Bouf, perfect for your most photogenic dishes. It's produced by hand which justifies the £43.20 price tag, but - as the makers are based in Slovenia - shipping is an extra £18. Ouch. UK-based Laura Felicity also uses lace while working with ceramics. 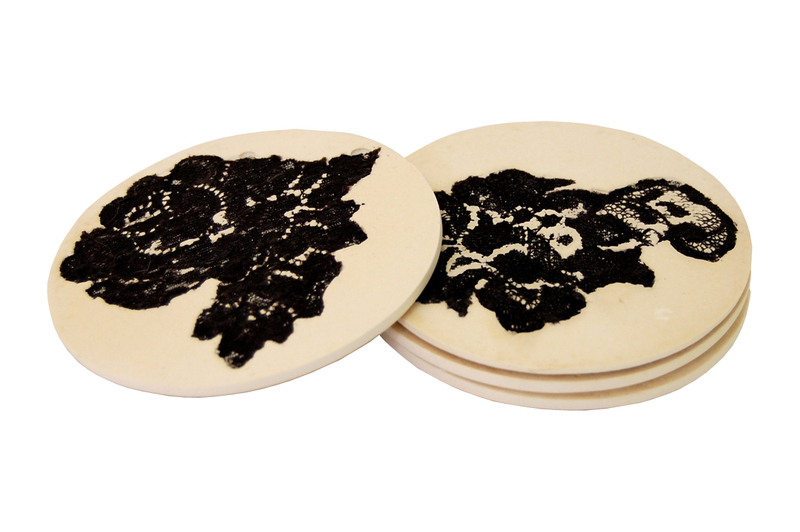 In the case of these coasters, she's embedded the lace flower within the surface plaster of each piece, creating something that's possibly too lovely for covering with your everyday cup of tea. They're available with cream or dusty pink flowers too and cost £36 for a set of four. The shapes of lace look stunning when used on paper too - as evident in these paper lace envelopes. They're virtually asking to be filled with bits of ribbons and cotton reels. If I ever opened a haberdashery, I'd want these to be my shop envelopes. You can buy a set of 5 for £6 from Papermash. 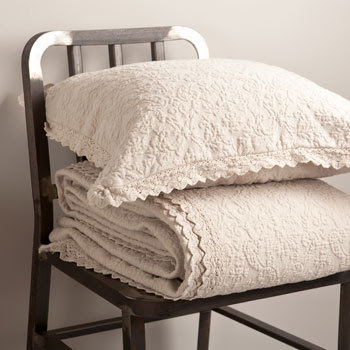 For the more straight-laced, Zara Home has a lovely collection of lace tablecloths and cushions without any added bells or whistles. 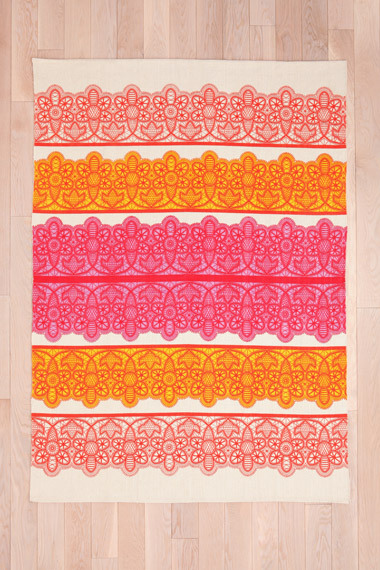 I particularly like the jacquard lace range pictured. Prices start at £19.99 for a cushion cover. 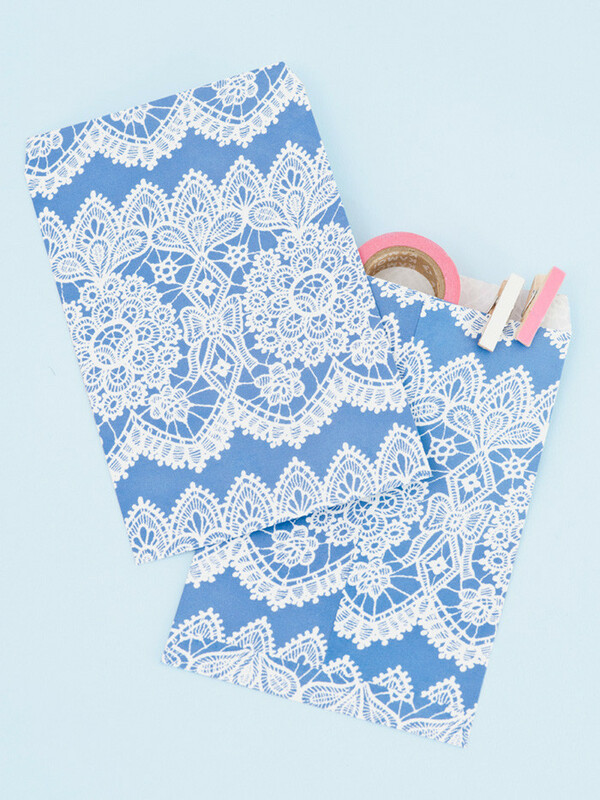 There's some great Pinterest inspiration out there for using traditional lace in a fresh and modern way. I adore that lace. ADORE IT.